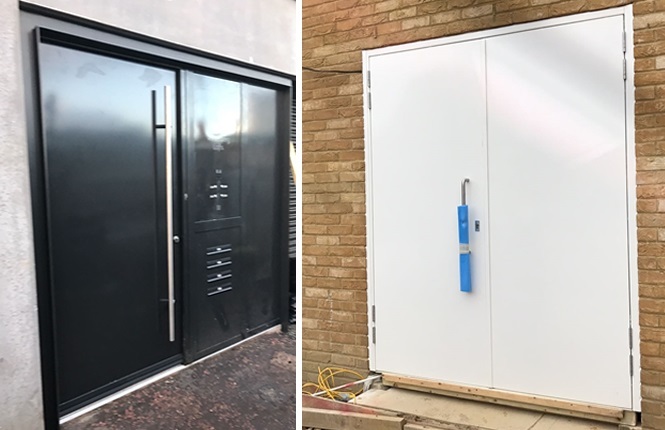 Custom made in our UK factory, our RSG8000 Entry Doors offer a high level of security, are engineered for durability, are designed for great insulation properties as standard and are galvanised & powder coated to achieve a high quality finish, making them one of the top selling steel doorsets in Great Britain. 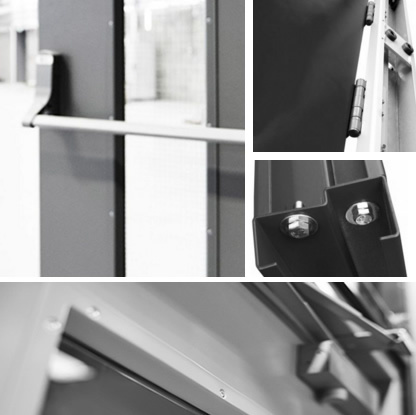 Providing security to a various range of applications from offices, retail to industries, RSG8000 is your day-to-day personnel steel door. 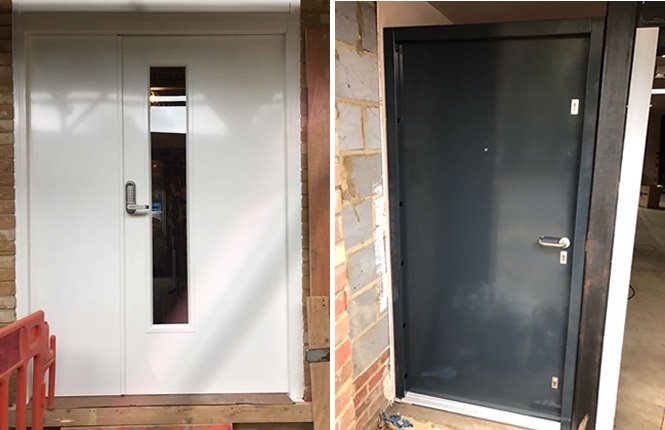 Extremely versatile, our entry doors are available as single, leaf and a half & double doorsets, along with a range of locks, vision panels and hardware options. 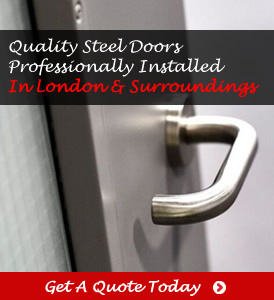 A high security doorset at affordable price - Get A Quote Today! 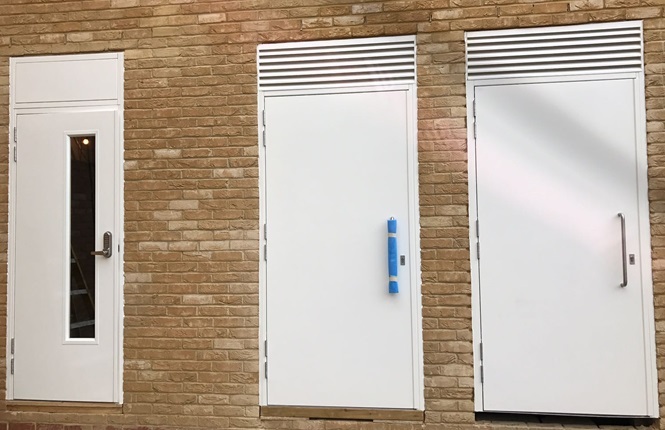 Great security features as standard - 1.5mm steel leaf thickness, anti-jemmy strip/astragal, bolted corners, 2mm stainless steel threshold and more. 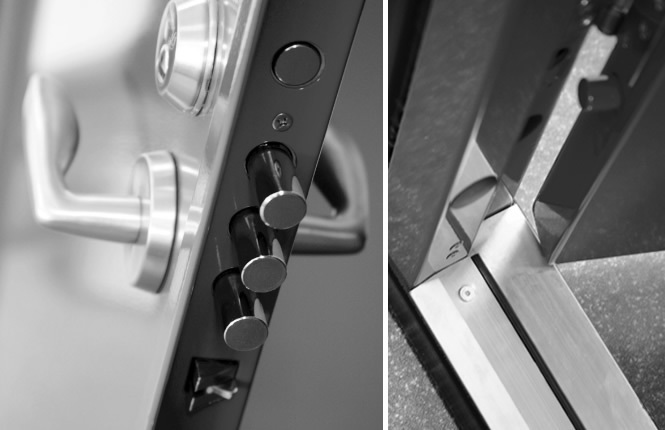 Combining a latch, deadbolt & a key, our sashlock comes with euro cylinders as standard, working alongside our durable stainless steel lever handles & escutcheons. 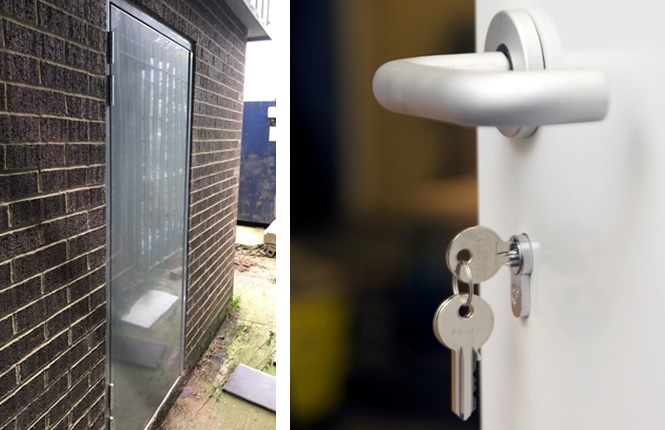 We use quality mortice locks such as Union & Securefast as well as high security cylinders (including oval) & 5 lever Chubb Locks. 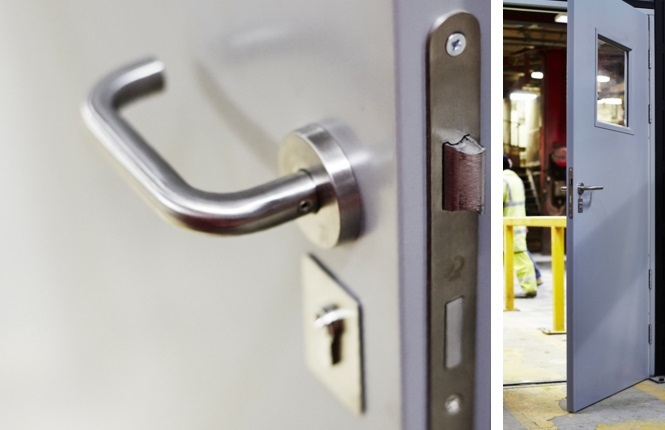 Deadlocks are used worldwide and here at RSG Security, our steel doors are secured from the standard euro cylinder deadlock to our British Standard 5 lever deadlocks. 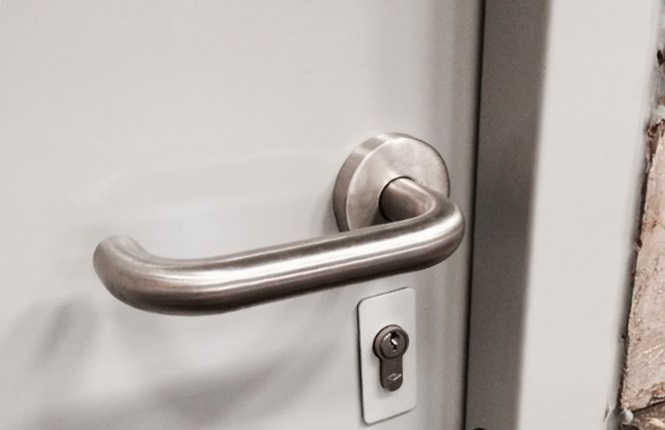 Furthermore, we are providers of a range of stainless steel pull handles, push plates and kick plates to ensure the best functionality. 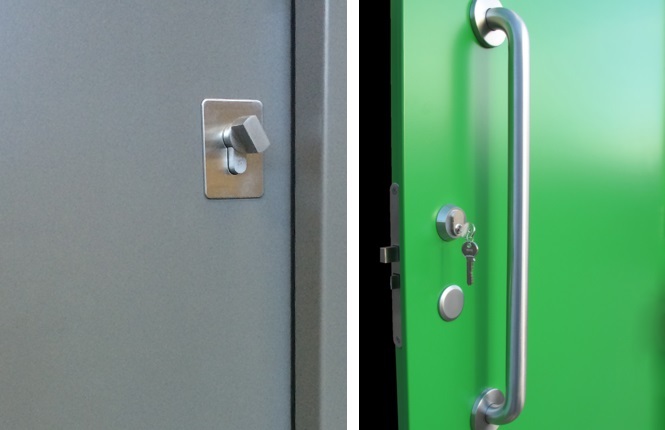 From additional deadlocks, British Standard 5 lever locks (BS 3621), 14-point multilocking to higher security locking namely Yale, Chubb & Mico, we have it all! 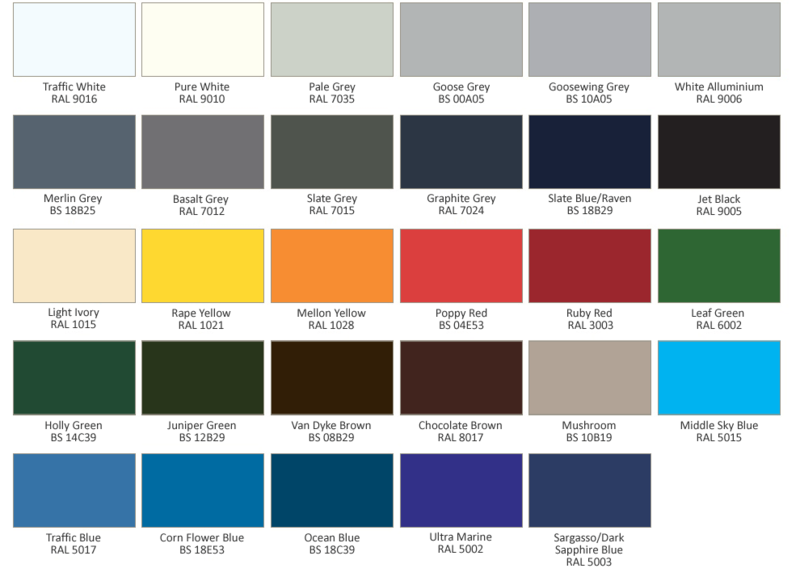 For more details, please look at our High Security Doors. In addition, we do specialist locks like Fire Brigate locks, DDA Toilet Radar locks, etc. 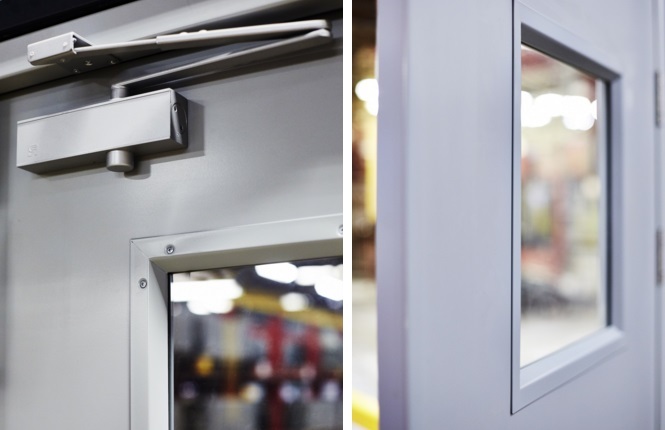 Our mechanical & electronic codelocks can be incorporated across the range of RSG steel doors for access control. Besides, working alongside electrically operated access control system, we also provide for Trimec electric strike & magnetic locks. 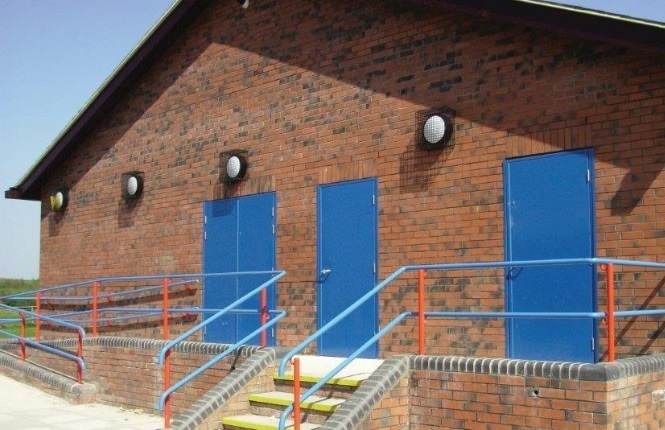 Please see our RSG8300 Access Control & Communal Doors.